In South Indian cuisine, lot of different spices are used on a daily basis. Traditional kitchen masala box (அஞ்சறைப் பெட்டி) contains mustard seeds, cumin seeds, methi seeds, coriander seeds, red chillies, urad dhal and Bengal gram dhal. 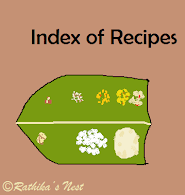 In most kitchens, two masala boxes are used, one to contain the above mentioned items, while the other holds poppy seeds, cardamom, cinnamon, cloves, fennel seeds, star aneez, bay leaves and the like. As we use dried spices, we also use fresh ones such as curry leaves (கறிவேப்பிலை), coriander leaves (கொத்தமல்லி), mustard leaves (கடுகு கீரை), and fenugreek leaves (வெந்தயக்கீரை). Some of these can be easily grown either in your garden if you have the space or in small spaces such as your balcony or even on your window sill. Methi or fenugreek: Fenugreek leaves (வெந்தயக்கீரை), which have a slight bitter taste, are rich in dietary fiber, minerals and vitamins. In native medicine, fenugreek is used to treat gastrointestinal problems. In Indian cuisine, fenugreek leaves are used in curry, gravy, kuzhambu or even making paratha/roti. Fresh methi leaves are available in the market as small bunches. However, you can grow methi plant easily in your kitchen garden. How to grow methi in a pot: Choose a clay pot or plastic pot (பூந்தொட்டி) of your choice. Usually there are one or two holes at the bottom of the pot for the excess water to drain. In a plastic pot you may have to make these holes at times. Now place a piece of roof tile (ஓடு) or coconut shell (தேங்காய் ஓடு) to cover the hole so that it does not clog with the soil. Fill the pot with soil up to ¾ of its capacity. Red soil (செம்மண்) is good enough. If you have access to black soil (கரிசல் மண்) it would be great. Alternatively, you may get potting soil from a nursery. You can add manure or compost (உரம்) on top of the soil. Of course, you can make your own compost at home. You may skip this step, if your potting soil is good. Now, water the pot till excess water oozes out. Let it stand for some time. You can use the methi seeds from your masala box. Just make sure they are not infested or very old. Now mix a handful of methi seeds (வெந்தயம்) with 'sand' in a plastic container. Spread this mixture evenly on the top of the soil prepared. Cover the seeds with some more sand. Sprinkle water on top. Now, you have finished sowing. Keep the pot at a place, where Sun light is available for some time during the day. It could be anywhere, your garden, balcony, window sill or any other suitable place. Methi plants (வெந்தயக்கீரை) - 5 days old! How to make compost at home: Make a small pit in your garden soil. Fill the base with coconut fiber, coconut shell and twigs; add dry leaves and organic kitchen waste in layers on top of the base to fill the pit. Top it with soil. Water the pit every now and then. You may turn the contents of the pit once in a while. Your compost will be ready in a few weeks. How to care for potted methi: Water the pot every morning by sprinkling water gently. Check if there is moisture in the soil. Don’t water if the soil is wet due to climatic conditions. Ensure that the soil doesn’t dry up. Sounds tricky? Not really. You would soon get a hang of it. The methi seeds germinate within 2-3 days in optimal conditions. You will see the saplings in 3-4 days of sowing. It would be a great satisfaction to see the seeds grow into plants. Continue to take care of the pot as instructed and you can harvest (!) methi in 3-4 weeks time. I have posted the picture of methi saplings that are five days old! They are growing as I write this post. I shall keep you updated on the progress! Happy gardening!